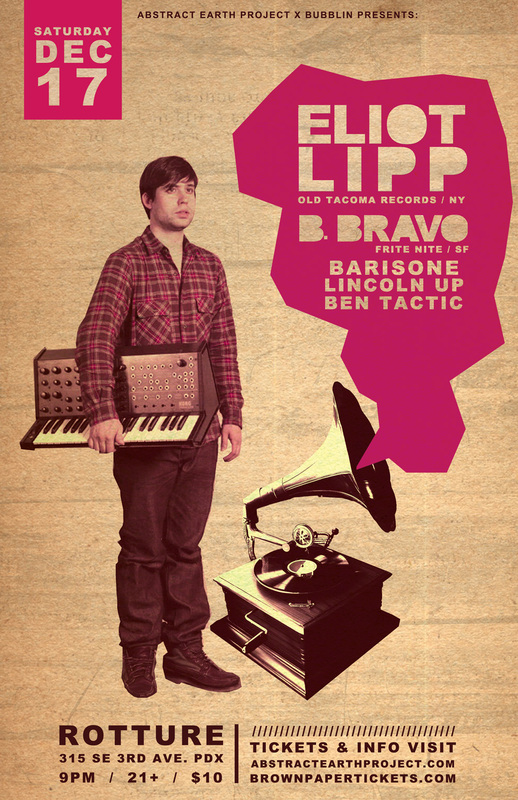 Abstract Earth is happy to welcome back one of our long time favorite performers, ELIOT LIPP!! And we have one of our new favorite performers, B. BRAVO on to support!! We will be teaming up with local night / crew BUBBLIN’ and have Barisone on hand to get the party going right. Come out for one last dance party before family / holiday time sets in! This entry was posted on December 9, 2011 at 12:25 pm and is filed under Uncategorized. You can follow any responses to this entry through the RSS 2.0 feed. You can leave a response, or trackback from your own site.